FIFA President Gianni Infantino’s plans for two new global tournaments are back on the agenda at the governing body with football officials set to discuss the proposals on Friday. FIFA’s ruling council meets in Kigali, Rwanda and Infantino’s plan for a new `mini World Cup’ and an expanded Club World Cup feature among the items for discussion. FIFA did not immediately respond to a request for comment and it was not clear if the plans would be put to a vote. Infantino wrote to FIFA Council members in May, outlining his plans which he says are backed by a “solid and serious’’ group of investors. He said the investors are willing to spend $25 billion over a 12-year cycle starting in 2021. The letter did not outline the identity of the investors but several media reports have stated that Japanese conglomerate SoftBank Group is heading the consortium. However, the plans were strongly opposed by clubs and leagues in Europe. UEFA president Aleksander Ceferin said the plans were “highly cynical and ruthless mercantilism’’ and accused FIFA of selling the soul of the game. The plans did not feature on the agenda of FIFA’s congress in Moscow in June. 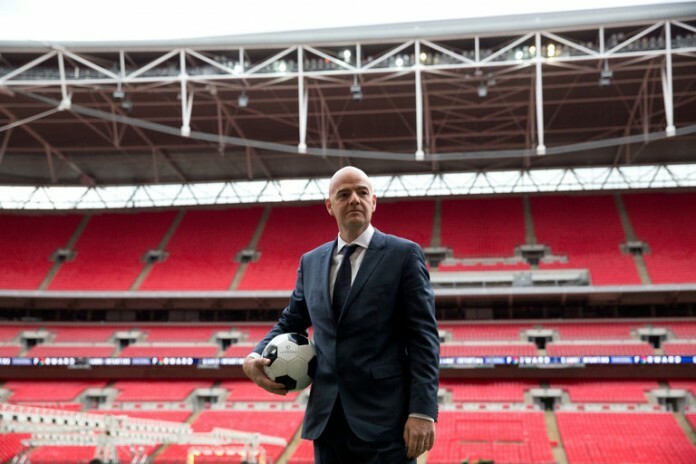 Infantino’s proposals would bring about major changes to the international calendar. The proposals outline what would effectively be a mini-World Cup, featuring eight international teams, every two years in addition to the traditional event. The tournament, known as the “Final 8’’, will be the climax of a proposed global Nations League competition. In the May letter, it was suggested that the new tournament would take place every October and/or November of every odd year starting from 2021. The annual Club World Cup, which currently features seven teams, would be expanded to 24 teams and moved to once every four years, according to the proposals.